God is good, all the time. You probably know it to be true. But do you really believe it? Deep down in your heart of hearts? Is He still good when there are people starving to death in the world? Is He still good when you've been in a horrific accident? Is He still good at 3 a.m. when your baby just.won't.sleep? Is He still good when you're knee deep in a financial crisis? Is He still good in the midst of yet another school shooting? Is He still good when your marriage seems to be failing? The answer to all of these, is, of course, "yes". Yes, He IS still good. 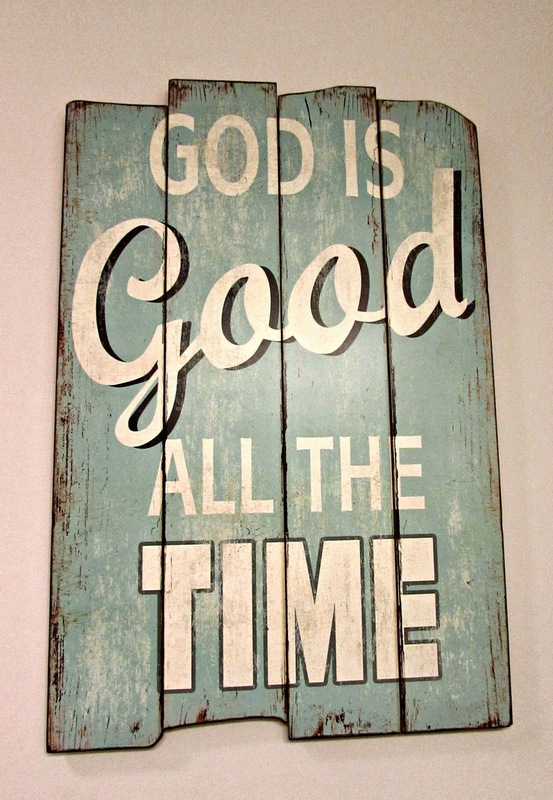 He is good, ALL the time. It can be hard to believe it when you are going through something hard, or when you take a good look at the world and see everything that's wrong with this place. Everything that is lacking. Everything that is horrible. Psalm 107:1 "Give thanks to the Lord, for he is good; his love endures forever." Psalm 34:8 "Taste and see that the Lord is good; blessed is the man who takes refuge in him." Psalm 145:9 "The Lord is good to all; he has compassion on all he has made." Those verses tell us what we know to be true. God IS goodness. He IS holiness. He IS righteousness. He is the very essence of everything that is good and perfect. We can't always see it, true. But does that mean that He isn't those things? Certainly not.